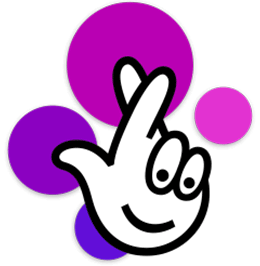 Look at Thunderball national lottery statistics based on your selected draw days. The statistics will help you choose your lucky numbers and bring you closer to the jackpot of your dreams. The stats show various lists such as: most frequently drawn numbers, odd vs. even numbers, evolution of jackpot in time and many more. How to generate Thunderball custom statistics? With the set statistics settings panel located at the top, the user can choose different draws and preferred dates to be displayed inside the statistics. Once these two parameters are selected, the only thing that has to be done is the press of the green button. Known as the “Recalculate button,” it takes mere seconds to generate the re-calculated Thunderball lottery details. Wish you all the very best. Displaying the recently drawn main (extra) numbers, this table includes the latest draw date. The numbers are shown in the top-down format in a simple table. The arrows at the top of the header can be clicked to configure the table personally. It includes the dates for the latest draws and lists out the most frequently drawn numbers (main). It is possible to put the extra numbers in the same order as the main ones. For a particular period as selected by you, the graph will display the frequency of both the main and extra drawn numbers of the national lottery. A hover of the cursor from the chart’s column makes the system display details for the main (extra) numbers. The frequency of the recent draws for the main (extra) thunderball numbers is displayed in this table. Each line in the table depicts the different draws after the latest draw. Each number is marked in the table after every draw. The table will be used to identify the mean intervals for a particular number between draws serving the basis to forecast the possibility of a draw. The dedicated list offers the entire details of the main (extra) Eurojackpot numbers drawn occasionally in pairs or triplets. It is entirely independent of the order. The user can also check out the most common pairs and triplets that are usually drawn together. The ideology of the list is quite similar to the above. Only one difference is the graph here shows the most proper pairs or triplets. Lists the best five Thunderball jackpot wins for a specific period. For a specified period, this graph will show the phases of the jackpot in time. It will list a maximum of 100 recently drawn numbers. The cursor, when moved over a specific date, will show more details.